This clearing series is designed to harmonize physical, emotional, mental and spiritual wellbeing. Its emphasis is on removing, releasing and clearing out barriers, obstacles and blocks that may be held at a cellular level. The sessions then activate a remembrance of the body’s capacity to heal itself. It takes into account that we have several bodies and that in addition to the physical organs and systems we have 72,000 channels called ‘Nadis’ that support a healthy nervous system. 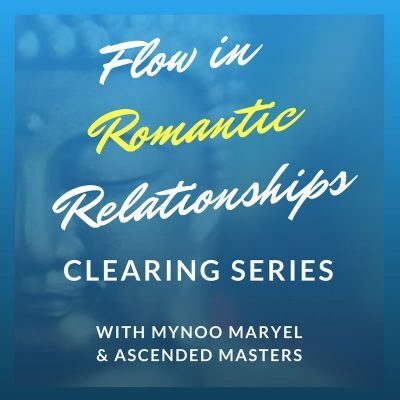 Mynoo works with a team of ascended masters and other divinely guided celestial beings, as well as the energy of the bodies, to carry out her work. She is not a medical practitioner but has implemented these techniques on herself and people from around the world with powerful effects. With humility and grace, she shares this gift and wisdom. The clearing series focuses on a number of different bodies. The physical body consists of the visible organs, blood, bodily fluids, the skin, bones and flesh. On death, explains Mynoo, some invisible thing that was making the body ‘alive’ leaves. This “astral body” resides inside the physical body and is felt as mind, thoughts and words. But the mind doesn’t act on its own. The “causal body” drives thoughts and makes them known through desires, basic instincts, and the ability to judge. The different bodies are related. The “astral body” is in the physical body like water is inside ice or like a physical cell is composed of molecules. So the causal body sits inside the astral, like vapor in water in ice, or like an atom in a molecule that makes up a cell. Each session works across all of these bodies. The sessions are deep and may continue to work after the session is complete. So please be mindful after completing a session. We recommend that you do not rush the process and allow your body to acclimatise and maximise the benefits from each session. 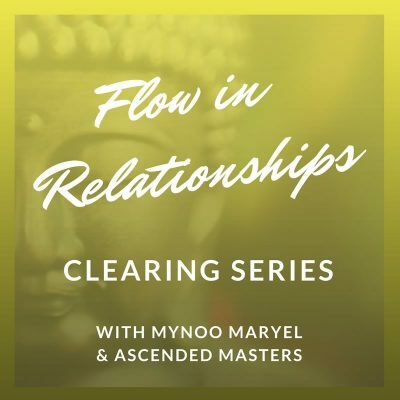 Mynoo introduces the ascended masters who support the return to flow of health and wellbeing. She lays the groundwork for deep clearing, and purges discomfort, inducing cellular memories to return the body’s remembrance of its capacity to heal. 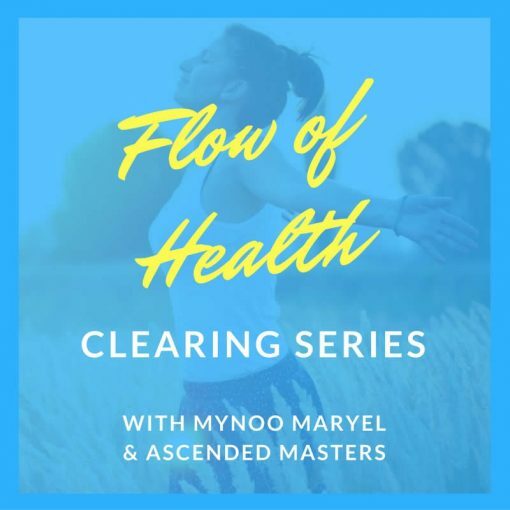 This session connects you to the original intent of the spleen and the solar plexus. It reactivates the originating state of these organs and puts in place energetic support to enable the body’s own mechanism to return to flow. This session works on the abdominal cavity and its organs. Cellular memories are cleaned out and the organs returned to their originating intent, producing physical and emotional shifts that continue after the session. Mynoo introduces the system of wellbeing received during her journey of silence. You will come to understand disease and learn about antidotes. The session will enhance the flow of Chi (life force) and return you to vibrant vitality. In this clearing session Mynoo uncovers blocks and barriers in the heart and lungs, and releases and removes them. Cells are purged of the memories that weaken them, enabling grief, releasing regret, and reclaiming the power to live life with purpose. This clearing session releases anger in the liver and gallbladder, and transmutes judgment that weaken the kidneys. It also energises the adrenal tissue, clears the transverse and descending colon, and purges the liver and gall bladder. 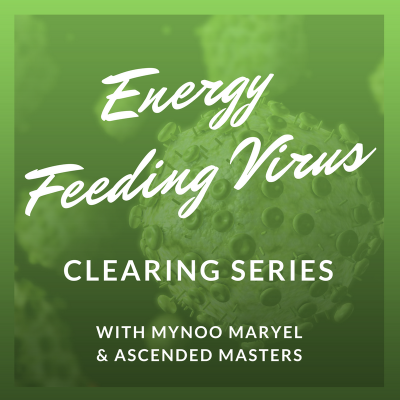 Mynoo initiates a fine cleaning and clearing, raising the vibrational state of the nervous system, skeletal system and skin. Anything that no longer serves this higher vibrational state is removed, leaving you relaxed and comforted.